You can visit the Homepage to read up and pre-configured installers. Or to be extra awesome you can clone the latest source code from here. Start by importing all names in the SimpleCV namespace. The above code will create a small image 500×500 pixels wide. It’s all black initially :(. The red,green and clue color values are stored in this case as an integer between 0 and 255. 0 means that color isn’t present and 255 means the color is present as much as can be.The images can be accessed as matrices . img[x,y] signifies a pixel in the row number x and column number y. Each pixel is associated with 3 values, for R,G and B in that order. 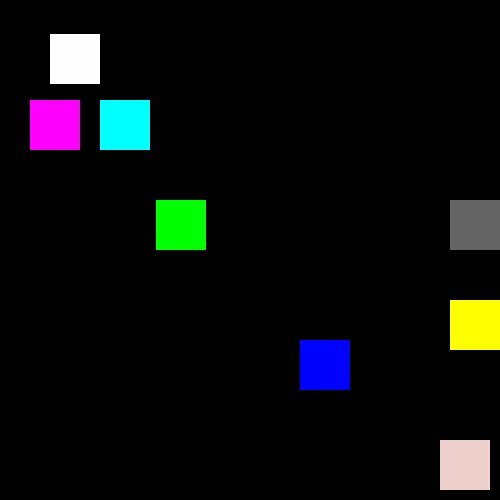 As python correctly tells us, all 3 colors are 0. The same is true for all x and y values as of now.  This code draws a second rectangle. 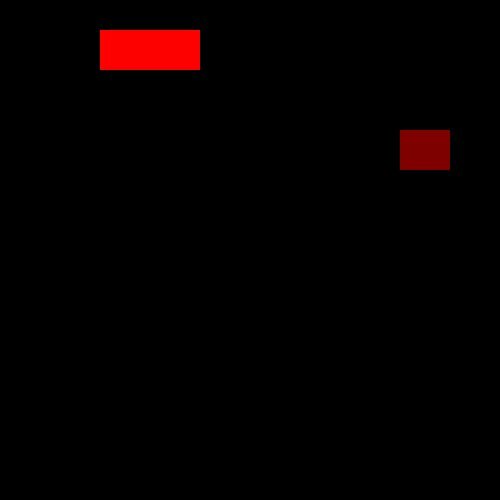 But this time around the rectangle is a little dull. That’s because the red value is 128. The code snippet contains a function paintSquare which paints a 50 x 50 px square at the given position. Note that all 255 shades of gray(:D) have equal R,G,B values, with (0,0,0) being black and (255,255,255) being white. (120,120,120) will be greyish. This was a post to illustrate the very basic fundamentals of images. You can go to http://tutorial.simplecv.org/en/latest/ to learn more things. If you would like to see anything else explained by me , comment below. Hmm a nice intro to simplecv. Really liked it .